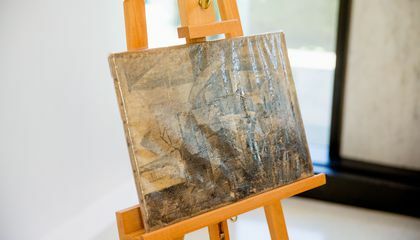 The U.S. government has formally returned a painting by Pablo Picasso valued at $15 million. It had been stolen from a Paris museum more than a decade ago. The painting was seized by immigration officials late last year in New Jersey. 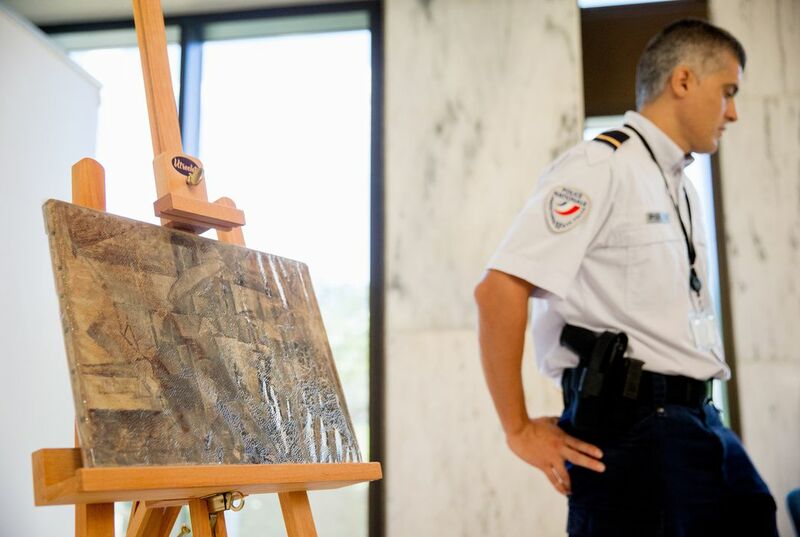 During a ceremony at the French Embassy, Sarah Saldaña, director of Immigration and Customs Enforcement, repatriated the abstract artwork. It is titled "La Coiffeuse" or "The Hairdresser." It was signed over to Frédéric Doré. He is the Embassy of France's deputy chief of mission. Kelly Currie, acting U.S. attorney for the Eastern District of New York, said the package aroused suspicion. That's because it was heading for a climate-controlled storage facility - a peculiar destination for a package carrying French words suggesting it contained a $37 Christmas gift. Details of who sent the package and how the painting was stolen weren't provided. The investigation continues. Currie said no arrests have been made. I think it is crazy that we would return a painting over $15 million. I say we should have kept it and put it in our own museums. It would have made us more money. I wander who stole the painting, and why they sent it to the US. I would have sent it to like china or some other country. That the package it was in said it was a 37$ christmas gift and that is what they found . The package was heading to a climate controlled storage facility. The fact that the package said it was a $37 dollar Christmas in French. Kelly Curie thought that it was suspicious and reported it to the law. They then got the painting back and gave it to the museum that thought it was "art work." Which its not!!! I think it was nice that we returned a 15 million dollar painting. Also it is a little surprising that we did return a painting worth this much. The clue that tipped off officials was that it was apparently a Christmas gift that was in a climate controlled area and its destination was making the officials question themselves. I think that they shouldn't have the painting back because they let it get stolen. And if they do get it back they need to get better security guards. I think that it is very fortunate that the painting was returned after being stolen a decade ago. There was some suspicion from an attorney when the package was heading for a climate controlled destination. The people were very relieved when the stolen painting was found and I would be too if I were them. I am glad that the painting was taken back because if it was sold in the black market, then no one would know of its whereabouts. Also, it cannot be copied since Pablo Picasso is not alive anymore. The painting is very precious since it is 100 years old so it needs to be well preserved. Answer: One clue is that officials saw a package that was headed towards the climate-controlled storage facility with a sign that said that it was a $37 Christmas gift.